3491 sq. ft., +1138 in finished lower level, 4 bedrooms and 3.1 baths. Everything you need in the chef’s kitchen with adjoining breakfast nook with skylights. 4-Season room overlooks the in-ground swimming pool. 3-car garage, plus a detached 2-car garage with a lift for 2 more cars, plus a full bath. 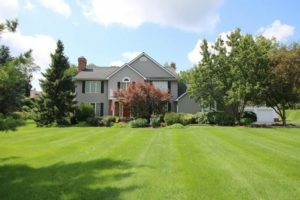 To request more information for 3735 Tanglewood Court or schedule a private showing, contact the Ann Arbor Real Estate specialists with The Bouma Group today at 734-761-3060 or email info@bouma.com. Learn more about Tanglewood subdivision here!